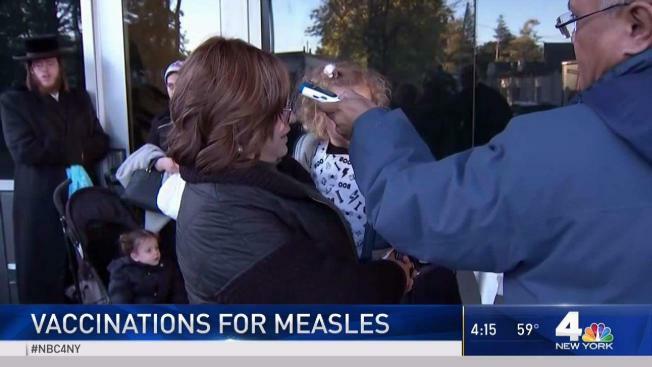 The confirmed cases of measles in Rockland County has risen to 33, with five suspected cases being investigated, officials said Sunday. To prevent the spread of illness, the Rockland County Health Department advises anyone who may have measles to contact their health care provider, local clinic, or local emergency department before going for care. This will help to prevent others at these facilities from being exposed to the illness. Measles is an acute viral illness characterized by fever and generalized rash. Infected individuals are contagious from four days before rash onset through the fourth day after rash appearance. The Health Department held vaccine clinics in response to the growing number of cases.